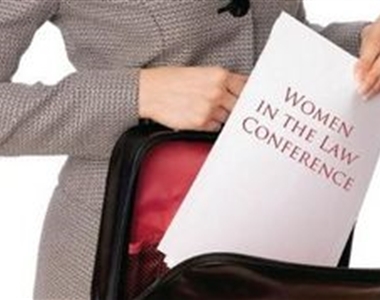 Following on from the very successful Women in the Law Conference in September 2012 organised by Imelda McMillan, then President of the Law Society of Northern Ireland, a series of seminars to be delivered by experienced and senior female practitioners has been organised. 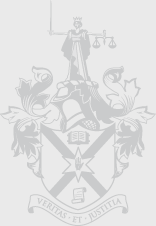 The Law Society, in conjunction with the Bar Council, is hosting the first of these sessions in Law Society House on Tuesday 5 February 2013. Lunch will be served at 12.30pm with the seminar running from 1pm – 2pm. There will be an opportunity for networking after the event from 2pm – 2.30pm. 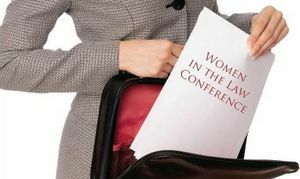 This free 1 hour CPD session will be delivered by Phyllis Agnew, Tughans and Denise McBride, QC with the Lord Chief Justice Sir Declan Morgan in attendance. Phyllis Agnew graduated from Queen Mary College, London University in 1976 with a Bachelor of Laws degree. She joined Tughans in 1981, becoming a Partner in 1988. She was appointed Senior Partner in April 2011. Phyllis heads the firm's Property Department and has extensive knowledge and experience of all aspects of commercial property transactions. She has been involved in many high-profile property transactions, working with and advising developers and institutions involved in major projects. She advised a number of bidders in connection with some of the first projects in Northern Ireland under the Private Finance Initiative and has advised clients from both the public and private sectors in relation to projects under the Public Private Partnership. During the seminar Phyllis will cover the effect on landlords of tenant insolvency. Denise McBride graduated from Queens University Belfast with an Honours degree in law. She was then called to the Bar in 1989 and called to the Senior Bar in October 2011. She is currently Vice Chair of the Bar Council having been elected in 2012. Her work as a Queen's Counsel is in the Chancery and Family divisions of the High Court. She has an interest in academic studies and is an honorary lecturer at QUB and gives guest lectures on the Chancery and Wills courses at Institute of Professional Legal studies. During the seminar Denise will cover the fact that in the present economic climate many purchasers are seeking to resile from contracts entered into when the market was buoyant. The talk will consider ways in which a purchaser may be able to treat the contract as repudiated focussing on the recent Northern Ireland Court of Appeal decision in Fitzpatrick and others -v- Sarcon. The second in this series of events will take place in the Inns of Court on 19 March 2013 – timings as above. It will concentrate on Banking Law. More details will be forwarded shortly. For more information or to book a place on this course please e-mail susan.duffy@lawsoc-ni.org or jennifer.ferguson@lawsoc-ni.org.